Our 12 Days of Giveaways is in full swing (12/9/2018 – 12/20/2018), and we're showcasing all of the companies who're helping us with the giveaways. 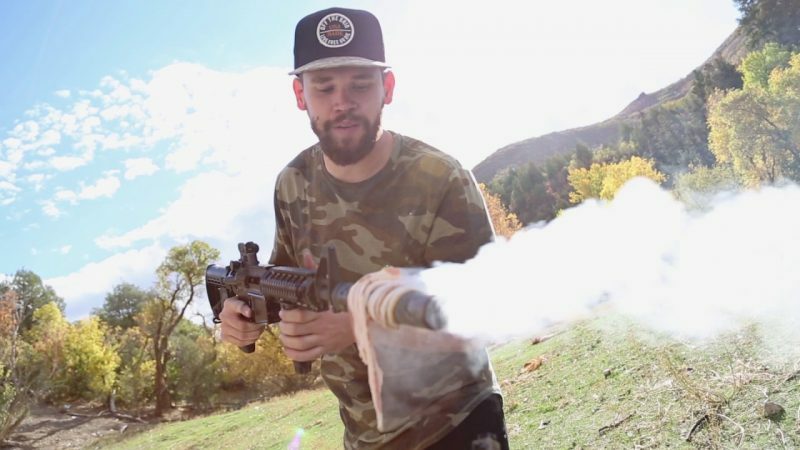 Pig Lube is new on the market having only been released in January, 2017, but threatens the competition by bringing a quality, but fun, product to the firearm industry. 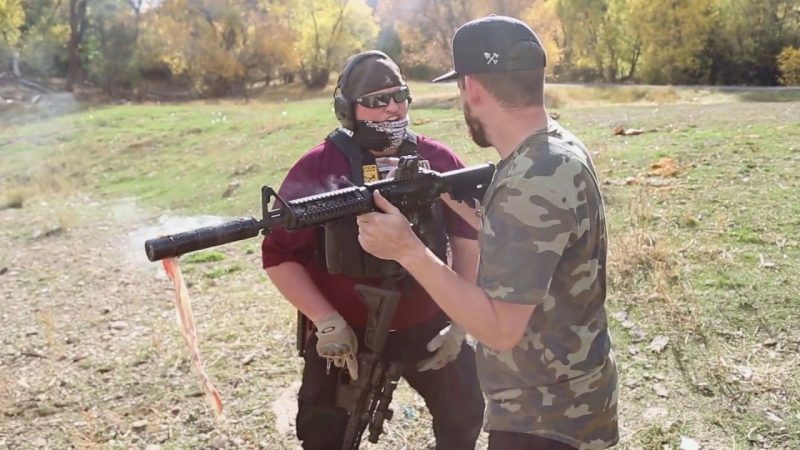 The concept for Pig Lube started as the founders were coming back from a hog hunt in Texas and began discussing if pig grease would make for an acceptable firearm lubricant. When they returned home, they began experimenting with synthesizing the oil obtained from pigs. However, don’t be fooled into thinking the product is just bottled bacon grease. It's a highly scientific and complicated process which includes industrial homogenizer machines used by “… pharmaceutical companies to permanently blend oils in water bases.” According to the Pig Lube website. The lubricant uses “Nano Particle Technology” which resemble microscopic ball bearings to help your firearm’s slide and bolt glide smoothly over surfaces, and help limit wear and tear. The carrier of Pig Lube is a high-grade synthetic oil used in Ferrari Formula One racing teams. The recipe for Pig Lube was designed to ensure weapons function reliably in adverse weather conditions with temperatures, “… well below zero degrees,” but also function in high temperatures generated during sustained machine gun fire. One of the most innovative, and perhaps most aggravatingly (why didn’t I think of that) simple details, is the applicator which uses a similar design to that used in lip gloss. This ensures the perfect amount of lube is evenly distributed to only those areas where you want lubricant, and eliminates drips and spills. If you are wondering “Pig Lube is made from pig fat, does it smell like bacon?” then you will be pleased to know that yes, yes it does. 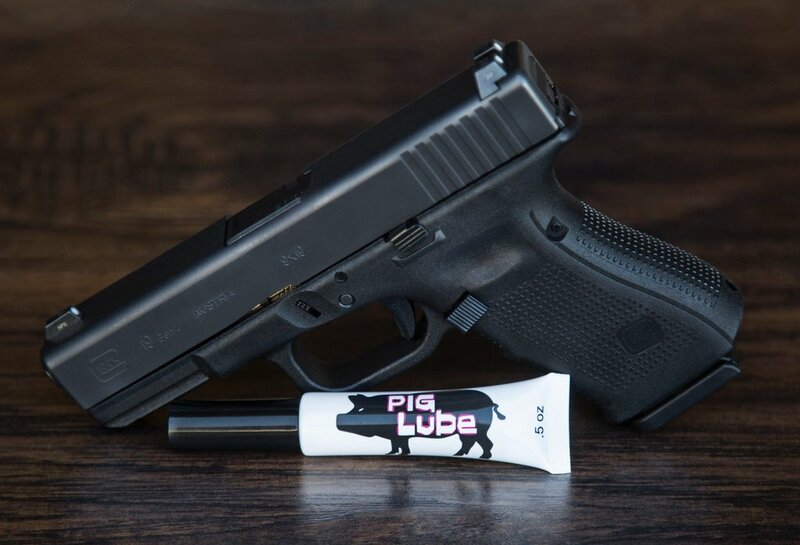 If becoming ravenously hungry while cleaning your guns is not an option for you, Pig Lube is also offered unscented. If you want to find out how you can enter to win a Pig Lube giveaway, make sure you check out our 12 Days of Giveaways page. Brian began shooting at the age of seven when his father taught him the basics of marksmanship with a Model 1938 Red Ryder BB gun. Years of hunting and shooting IDPA matches instilled a passion for firearms, which carried on to the military when he joined the Navy as an FMF Corpsman. He was attached to 11th Marines 1st MAR DIV in Camp Pendleton CA, deploying to Afghanistan where he spent some combat time with the M240B, and the Browning M2 machine guns. Brian was awarded the expert rifle and pistol ribbons and, since being discharged from the military, participated in training civilians in combat trauma medicine, basic shooting skills, and force-on-force training with Simunitions. He successfully completed EMT training two separate times and worked for two years in the 29 Palms Robert E Bush Naval Hospital ER. Every so often he competes in competitions such as 3 Gun, IDPA, and IPSC. An avid proponent of the 2nd amendment, he carries concealed every day. Currently, Brian is a full-time student at UC Denver for journalism, and the father of 3 small boys. I look forward to the dealings. Don’t see the giveaway link either. © 2019 Concealed Carry Inc. All Rights Reserved.